Yemen still reels under humanitarian crisis. Does anyone remember? 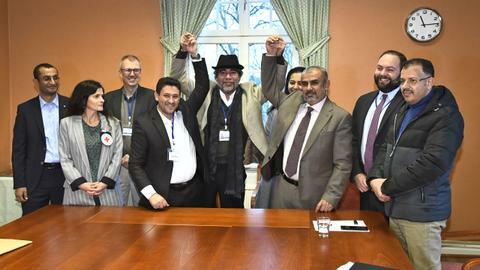 Following talks in Stockholm, can promises help Yemen live in peace? The UN calls the situation in Yemen the worst humanitarian crisis in recent history. With 24 million people facing starvation and famine and at least 65,000 killed, the Saudi-led coalition continues to fuel the war. 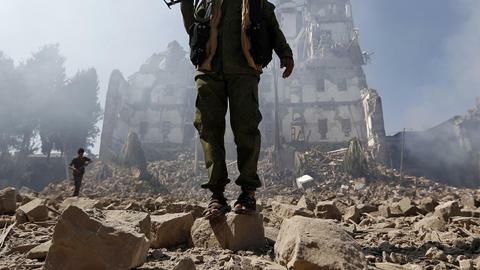 The people's revolution that was dubbed the Arab Spring in 2011 had an impact on Yemen, too. While it challenged old and brutal regimes in Egypt, Syria and other parts of the Middle East, it also brought to light widespread corruption, political instability and social inequality in Yemen and forced former Yemeni president Ali Abdullah Saleh to hand over the reins of power to Abd Rabbu Mansour. 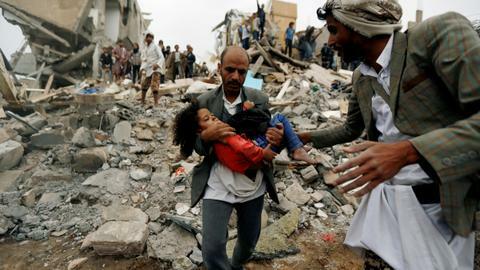 The transition didn't go smoothly and the war between Saudi-backed Mansour and the Houthi rebels broke out, causing many deaths and widespread destruction that continues to haunt the country today. The war has become yet more brutal, with the Saudi-led coalition relentlessly bombing the country in a bid to overpower the Houthis. The escalation violence has left the poorest country in the Arab world in a state of disaster. At least 60,000 people have died and tens of thousands have been injured since 2015, when the Saudi-led coalition first started its airstrikes. According to reports to the UN Security Council by Mark Lowcock, head of the UN Office for the Coordination of Humanitarian Affairs, more than 24 million people in Yemen - nearly 80 percent of the population - are now in desperate need of aid, including humanitarian aid, food, medicine and petrol. The Saudi-Emirates-led coalition has carried more than 18,000 raids to crack the Houthis’ hold on power, steadily increasing since 2014. The dire consequences of the Saudi-led coalition's war in Yemen may resonate for years to come. Arming random militias and buying loyalties with weapons may pave the way for potential catastrophe and increase the future threat to Yemenis. 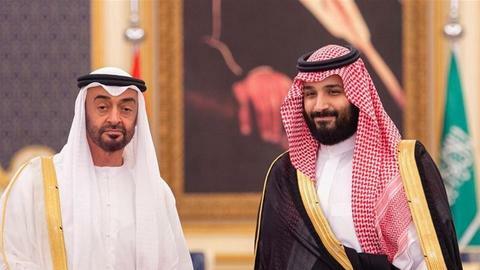 Amnesty International published an open source investigation on February 6, saying that the UAE is a major conduit for heavily armoured vehicles, machine guns, and a mortar systems, all of which are being illegally distributed to militias accused of committing war crimes and human rights violations. Yemen, which used to be split into North and South Yemen, united as the Cold War was coming to an end in 1990. This ushered in a new era for Yemenis. Ali Abdullah Saleh, who had already ruled North Yemen—which was mostly populated by the Houthis—for 12 years between 1978 and 1990, became the new president of the united country. Hadi presided over the UN and Saudi-led National Dialogue Conference (NDC), which aimed to bring together various parties in Yemen to manage a transition process. Houthis, who are concentrated in the north, and political figures from the south, held on to their interests with few steps taken towards cooperation. The NDC was supposed to conclude in February 2014 with a declaration. However, Houthis unilaterally declared their withdrawal from the NDC before the appointed time. They then started a war in the northern city of Saada against government forces. They entered the Yemeni capital Sanaa in September, 2014. Four months later, they captured the whole of Sanaa with the help of former elite forces loyal to former president Saleh, according to UN reports. The Houthis declared the dissolution of the parliament after Hadi was put under house arrest. Iran’s influence steadily increased in the Middle East after the 2003 US-led invasion of Iraq—especially in Lebanon, Iraq, Syria and Yemen. Iran has supported Houthis in an attempt to extend its sphere of influence. Ali Reza Zakani, Tehran's representative in the Iranian parliament, said in September 2014: “Three Arab capitals have today ended up in the hands of Iran and belong to the Islamic Iranian revolution.” Sanaa was the fourth capital joining the Iranian revolution, he added. 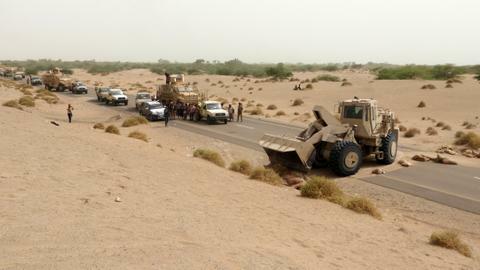 Soon after he was placed under house arrest, Hadi managed to escape the Houthis with his loyal officials to Aden, a port city in southern Yemen. He then fled to Saudi Arabia, which backed his government. Saudi Arabia formed a coalition to fight against the Houthi-led rebellion in March 2015, which served as another proxy-war with long-time regional rival Iran, as Tehran was aligned with the Houthis. Saleh, 75, was killed in a roadside attack on December 4 by Houthis, after he had called for a "new page" in ties with a Saudi-led coalition. Saleh ruled Yemen for 33 years before being forced to step down in 2012 in a Gulf-brokered transition plan following months of Arab uprisings demanding democracy.